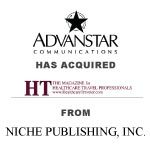 Berkery, Noyes & Co. represents Niche Publishing in its sale of HT- the magazine for healthcare tavel professionals to Advanstar Communications - Berkery, Noyes & Co., LLC. NEW YORK, October 3, 2002 — Berkery, Noyes & Co. announced today that Advanstar Communications Inc. has acquired HT – The Magazine for Healthcare Travel Professionals and HT’s website, www.healthcaretraveler.com, from Niche Publishing, Inc. Niche Publishing was represented in the transaction by Berkery, Noyes & Co. Launched in 1993, HT is the only publication solely dedicated to traveling nurses and traveling allied healthcare professionals. The magazine and website are focused on career opportunities and lifestyle interests of these healthcare travel professionals, who accept 3-6 month assignments at hospitals in various locations throughout the U.S. The magazine and website also provide non-clinical professional updates to inform readers of new developments in medical care. HT will be published 10 times this year. It has a controlled circulation of 40,000 composed primarily of nurses with a significant number of allied healthcare professionals including physical therapists, radiology technicians, surgical technicians, occupational therapists. HT joins Advanstar’s Healthcare Group, which includes Cosmetic Surgery Times, Dermatology Times, DVM Newsmagazine, Formulary, Geriatrics, Managed Healthcare Executive, Ophthalmology Times, and Urology Times. HT’s staff, including Cary Jon Lederman, Director of Advertising Sales; Patricia Stille Lederman, Managing Editor; and Bobbi Harrison, Associate Editor will join Advanstar Communications and remain in their current Salisbury, Maryland office. Editor-in-Chief Karen Flynn Moore MSN, RN will continue to advise on content for the magazine. Berkery, Noyes specializes in investment banking for the information, publishing and communications industries. Among the most recent transactions completed by Berkery, Noyes are the sale of Marketing Services Mexicana to Cegedim Group, DDC Publishing to Pearson Education, Wheeler Publishing, Inc. to The Gale Group, a subsidiary of Thomson Learning, selected assets from Thomson Learning to John Wiley & Sons and Oxford University Press, the acquisition of Ariel Research Corporation by Eastman Chemical Company. 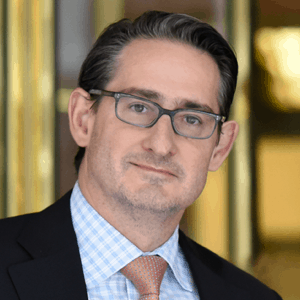 Berkery, Noyes & Co. clients range from small firms, often seeking a buyer, to most of the major international information companies, who use the firm’s expertise in locating, analyzing and negotiating with acquisition candidates, as well as in managing divestitures. The firm operates with a staff of twenty-two professionals serving the information and publishing industry from offices in New York, Boston, and San Francisco. For more information, visit www.berkerynoyes.com. Advanstar Communications Inc. is a worldwide business information company serving specialized markets with high quality information resources and integrated marketing solutions. Advanstar has 92 business magazines and directories, 77 exhibitions and conferences, numerous Web sites, and a wide range of direct marketing, database and reference products and services. Advanstar serves targeted market sectors in such industries as art, automotive, beauty, collaboration/e-learning, CRM/call center, digital media, entertainment/marketing, fashion & apparel, healthcare, internet/e-business, manufacturing and processing, pharmaceutical, powersports, science, telecommunications and travel/hospitality. The Company has 1,300 employees and currently operates from multiple offices in North America, Latin America, Europe and Asia. For more information, visit www.advanstar.com.